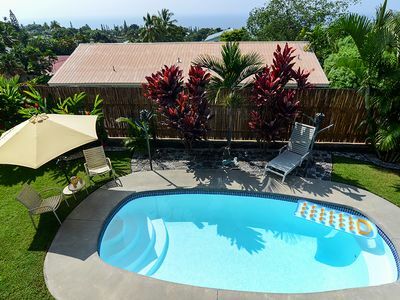 The ultimate Hawaiian escape awaits you in this 1-bedroom, 1-bathroom Kailua Kona vacation rental apartment! 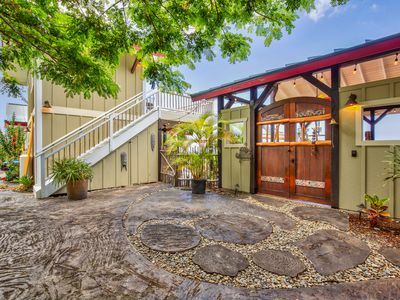 Featuring accommodations for 4, a beautiful garden, and incredible location steps from the beach, this property is the perfect sanctuary for a small family vacation or a romantic Hawaiian getaway. 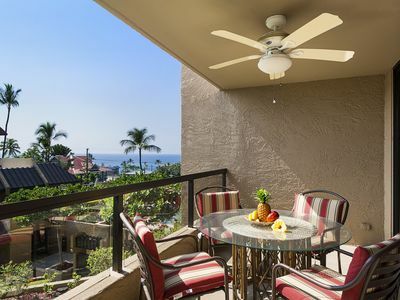 You'll be less than 20 minutes away from downtown shops, cafes, and beach parks for effortless days in the sun! 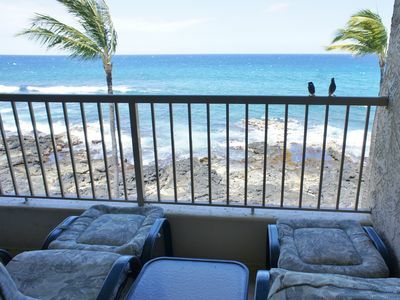 Let this pristine Kailua Kona vacation rental apartment serve as the perfect setting for your next Hawaiian retreat. 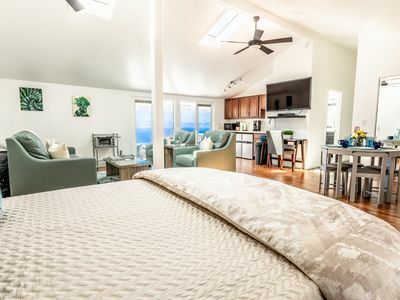 Settled amongst tropical landscape with gorgeous nature views and easy access to thrilling excursions, this charming abode is an ideal lodging choice for 2. 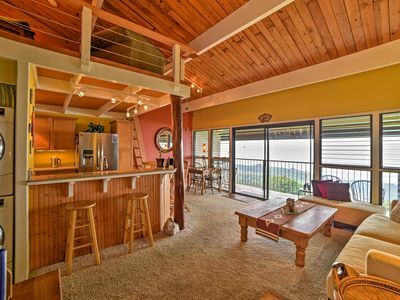 Inside, you'll find warm, inviting decor plus plenty of space for your and your companions to spread out and relax. 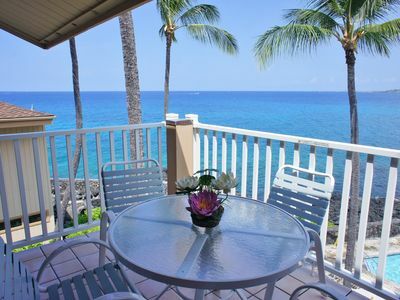 Utilize the complimentary wireless internet to search for the best beach hotspots. 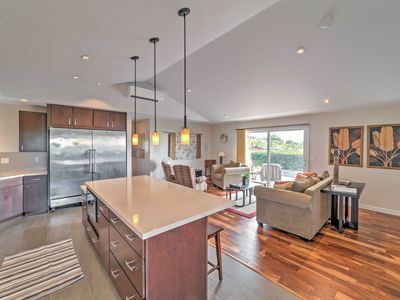 The fully equipped kitchen boasts an open and airy layout, allowing the chef-of-the-day to spend time with loved ones while creating a culinary masterpiece. 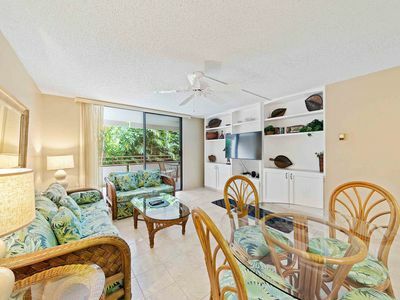 During your downtime, gather in the lovely, spacious living area and enjoy watching your favorite television shows on the cable TV. 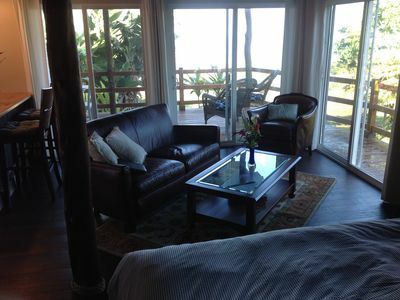 You'll also notice the office space - a perfect place to kick back and unwind with a new read. 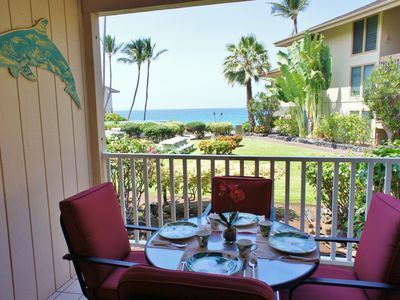 In the mornings, sip your cup of joe on the private lanai while getting lost in vibrant, colorful garden views. 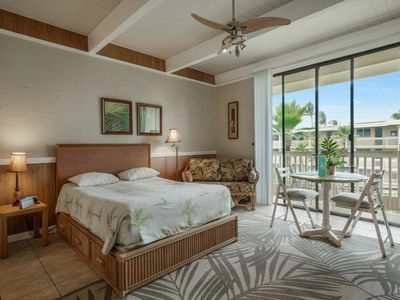 When you're ready to call it a night, retreat to the bedroom to dream of another day in paradise. 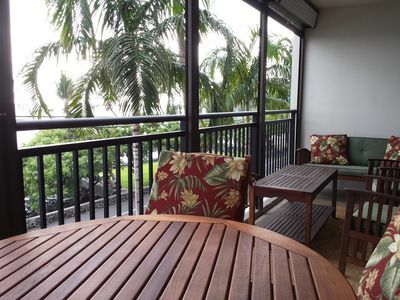 During your stay, you'll have the best of Kailua Kona right at your fingertips! 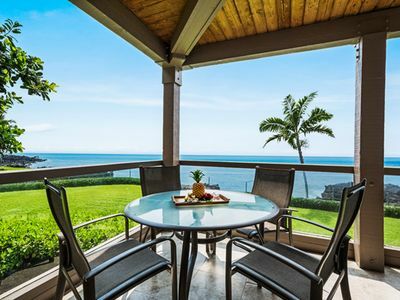 Within minutes, arrive at world-renowned beaches for epic views and endless outdoor activities. 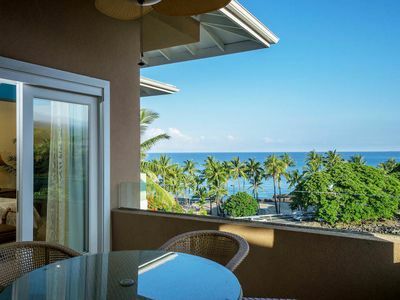 Spend a day surfing, swimming or paddle boarding on crystal clear waters before lying down on sugar white sand to soak up the Hawaiian sun. 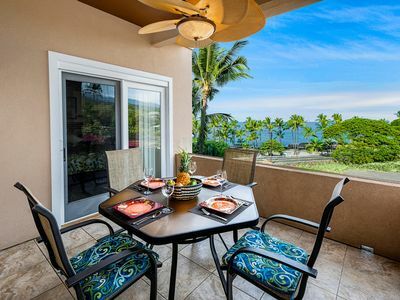 From there, round up your group for delicious island eats, ranging from fresh sushi to Big Island Pizza. Vegans have to check out Under the Bodhi Tree, a mouth watering restaurant for veggie lovers! 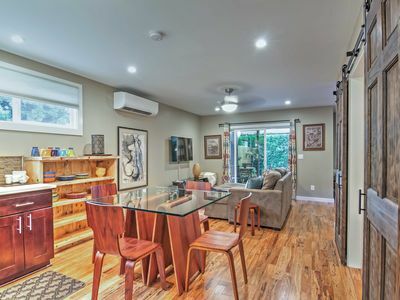 Local boutiques and galleries are also located within close proximity, ideal for those needing a break from the outdoors. So take a trip to downtown less than 20 minutes away to shop for new sunglasses to sport. 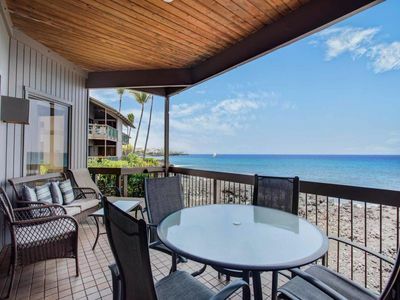 Kona Bay Oceanfront Home – Check out our Virtual Tour! 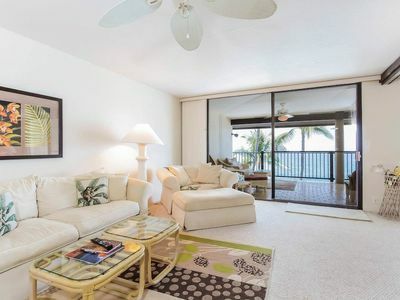 Stunning Modern Condo Across Street from Turtle Beach, Learn to Snorkel or Surf!